Eating well is a right, not a luxury. As a slogan it sounds simple, and for most of us the distinction is irrelevant: we eat well, and we can afford to do so. For people at the other end of the spectrum the distinction is also irrelevant: if you are in food poverty you generally must be grateful for what you are given. So what do we give to our poor? Recently Food Banks have been given a hard time because of the type of food that is distributed. Invariably, for reasons of storage and shelf life, goods that are given through food banks are prepackaged dry goods or tinned. Often they are processed foods. This seems reasonable to tide over a family in an emergency. This week our home town Oldham has also been given a bit of a hard time in the media: we are, apparently, the nation's most deprived town. 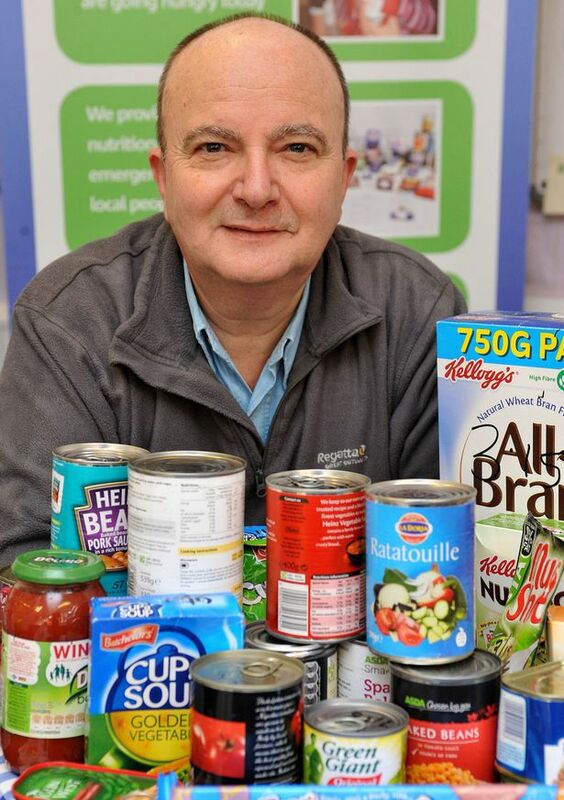 In light of this, I spoke to Andrew Barr of Oldham Foodbank, to see what he made of it, he says. 'Oldham has a number of geographically small areas that are consistently very poor according to the data. This means that overall, the whole borough is shown as the poorest in the country. So for some families living in Oldham's most deprived areas the Foodbank is more than an stop-gap, it has become a means to keep the wolf from the door for some considerable time. If that makes Andrew Barr's role sound like a thankless one it doesn't come across when you speak to him. Barr's love of food overrides his work as social justice champion. This sounds like a message for us all; after all, who doesn't have limited resources? Barr's life's work has been food, not social justice: previously working with Michele Roux Snr. and Anton Mosimann he developed menus for high-end long haul air flights. He now runs Oldham's Eat Well, Spend Less course yet you get the sense that enthusing students with a passion for food is no less important to him. The course is open to anyone in the borough who thinks they might benefit from some thrifty cooking tips. Access to fresh food is a problem though for Foodbanks, Oldham's will soon move into new premises with kitchen facilities to enable the provision of hot meals cooked with fresh ingredients. Yet regularly providing fresh food to people in food poverty remains challenging. In Liverpool campaigners are working to make the city a 'fresh food, food aid' city, recognising that people in food poverty are entitled to be able to choose good food to feed their families well, just like the rest of us. They have a way to go, but the project has the backing of the City's mayor Joe Anderson, and that means money to help build the sort of infrastructure necessary. Watching the news and seeing my hometown painted as a dreary grey place, with dreary grey people made me sad. Talking to Andrew Barr and seeing the passion, energy and determination to help everyone eat well made me smile. Eating well is a right, I believe that strongly. But eating well is also a skill and I was pleased to see that there are people to help us to relearn the skills we need, to love and eat good food.